Eric Burdon’s paid his dues many times over, from the glory days of the Animals in the 60’s, an intriguing solo career taking in everything from full-on psychedelia to street funk with War. Always one of the strongest and most distinctive Sixties singers, Eric Burdon’s on fine form here. Generally the material’s well suited to that well-marinated and still unmistakably Geordie voice. The band generate a tight bluesy vibe on the twelve songs here - mostly written by Burdon - check standout tracks like “Water“, “Memorial Day“, “Bo Diddley Special“, and “27 Forever“. There’s a great swampy roots feel to “River Is Rising” and “Invitation to the White House” is well eccentric! The band’s soul blues mix generally works really well, although a couple of times the music lapses into a kind of Jools Holland/ Gospel-lite plod, but never for too long. It all makes for a really good demonstration of how a mature artist - see also Tom Jones - can put the passing years to good advantage and still deliver. A lot’s happened around Jonny Cola since last year’s excellent “Postcode Wars” EP, so it’s great to be able to welcome him back after his kidney transplant - and to have some new music so soon is a real bonus. “Straight to Video” and “Marlborough Road” are bursting with energy, hooks and ideas, as the rest of the group rock joyfully. There’s a great glam-punk feel to the music and lyrics here, which feel like they could have stepped out of the “Velvet Goldmine” movie, or like a joyous collision of Bowie, Suede and Mott the Hoople. For full effect I urge you to head for youTube to catch the excellent videos that really enhance the two songs here. There’s meant to be a new album later in the year which should be worth looking out for too. In these days of MP3 downloads its always nice to get an actual PR freebie - bring on the payola I say! - so I was instantly attracted when Mike Tyler’s “Money Grows On Your Knees” single turned up in CD and transparent green vinyl formats and a rather cool op-art jigsaw thrown in for good measure. He’s a new name to me, a New Yorker who’s inspired by the Beat Movement writers and performers, with a dash of Patti Smith and Tom Verlaine in there too. “Money” rocks along nicely with muttered semi-spoken vocals, over a simple choppy Lou Reedish piano chug, that suits the detached feel of the lyrics. I hated b-side “Corny Song” the first time I heard it - the clue’s in the title - but find now its somehow insidiously sneaked its way past my defences, with its Dylanish drawl and now sounds like a cool throwaway piss-take of all those corny rock songs urging us to “Shine Your Light” or whatever. Gretchen Seichrist is a strong and totally individual performer, artist and writer. It doesn’t seem that long since the double-whammy of the “Blue Skin” and “I Steal Carrots” albums - if you haven’t heard the wonderful “Queen of the Winter Carnival”, please do… She’s a mighty prolific writer and is back now with another batch of songs, this time with the group reduced to a duo of her and bassman Danny Viper. Like most of her work, the songs are intense, full of words, ideas and imagery - and require some serious extended listening to get into. Early indications are that I’m grabbed by the haunting “Canesteo”, “Things a Human Does” with its fuller sound, and the beguiling “Are You Liquid?”. She’s never been shy of talking about her inspiration from Bob Dylan, and has recently done an impromptu tour singing Dylan covers, plus single “Say It To My Face (Song to Bob Dylan)” (not included here unfortunately). That influence is still here, but where before the other main “default setting” for trying to describe Gretchen’s music has been Patti Smith, I’d throw Laura Nyro and Marianne Faithfull into the mix too. There seems to be another cyclical burst of Nick Drake activity and nostalgia at the moment - there’s even an album by his mother in the pipeline, I believe! “Way to Blue” is put together from two concerts in Melbourne (2011) & London (2010), and produced by the legendary Joe Boyd, and in a nice touch that reinforces the original connection, the string arrangements are done by Nick Drake’s old friend and arranger Robert Kirby. There’s an impressive line-up, including Danny and Teddy Thompson, Robyn Hitchcock, Green Gartside, Vashti Bunyan on one track, and newer artists like Luluc, Krystle Warren, Scott Matthews and Lisa Hannigan. I’d suggest Robyn Hitchcock’s “Parasite”, Vashti Bunyan’s “Which Will” or Lisa Hannigan’s “Black-eyed Dog” as tasters. Its near-impossible to go wrong with the Nick Drake songbook, but it’s good that the selection here generally looks beyond the most obvious choices. If you’re feeling like something different - no words and not a guitar to be heard either - check out the latest Jazzfakers offering. The group are the free-jazz/electro manifestation of the PAS multimedia arts/performance collective. It’s a joyous uninhibited cauldron of skronks, squawks and squeals - “Experimental Jazz” according to the label on the tin, and there’s avant garde, improv and good old noise in there too. But given my ignorance of most matters jazzy, I’d suggest taking a look at www.alrealon.co.uk/pascuratedseries.html or check PAS on Facebook and see what else they’re getting up to. 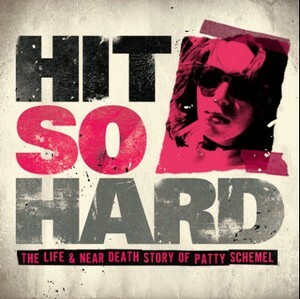 This month’s wild card is “Hit So Hard”, the DVD/film version of Hole drummer Patty Schemel’s story. Its hard to believe now that twenty years have gone by since the grunge & Riot Girll scenes of the early 90’s, it all seems so fresh. It’s a pity - but no great surprise - that the story has had the standard US formula of “Fallen Star Discovers Redemption” imposed on it. Fortunately Patty Schemel is an engaging and often very funny storyteller, and doesn’t spare herself either when talking about her addictions and desperate post-Hole battle to survive. Her account of the disastrous recording sessions for “Celebrity Skin” - which ended with her leaving the group - are a real high-point, with hard-nosed producer Michael Beinhorn taking an instant dislike to her, and bringing in a session drummer Deen Castronovo -or “Johnny One-take” as she calls him. She felt betrayed by the rest of the group, and headed down a nihilistic path of heavy drug use, until her heroin and coke habits got out of control. The relationship between her and Courtney Love is intriguing but puzzling, with the singer seeming to alternate between being very supportive (paying for Patty’s rehab a couple of times) or totally disinterested. At other times Ms Love is a strange mixture of shrewdness and naivety. The other main cause of Patty Schemel’s disillusionment was as she puts it, the singer suddenly deciding she was going to be a movie star. To be honest after 20 years I’m still no closer to understanding Courtney Love - she’s clearly very intelligent and independent but with a big self-destruct button usually close at hand. Anyway, it all works out happily in the end as Patty gets clean, finds the love of a good woman, launches a successful dog-grooming and kennels business, and has got back to doing music again too. Well, I said it’d be a pretty random mix of styles, as always, hope there’s something to interest you here. The reissues are stacking up nicely for next month, so see you then.